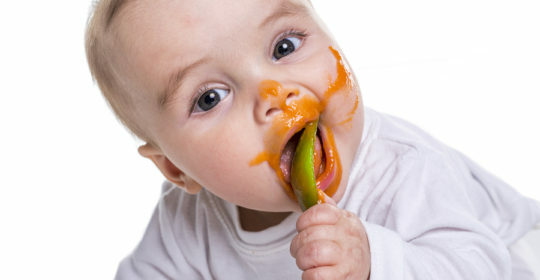 Some of you may have come across the recent Consumer Reports article outlining the discovery of heavy metals in several popular baby food brands. The article specifically discussed levels of three heavy metals called cadmium, mercury, and lead. These findings should not cause alarm. 1) If your baby consumed any of these products, it does NOT mean that they will definitely get sick or have problems. It is only one small piece of the puzzle in their normal growth and development. 2) It is true, that at high levels, these heavy metals can cause sickness or impact your babies development. However, if your baby is eating a varied diet, it is very unlikely that these metals will reach dangerous, or even near-dangerous levels in their bodies. 3) These heavy metals are naturally occurring and found in all sorts of things like soil, water, rice, and plants. We are all probably exposed to small amounts of these metals every day that go unmeasured or undetected in our bodies. 4) We always screen your baby’s lead levels at their 9-month and 2-year check-ups. If the level is/was elevated during these visits, we will discuss with you ways to limit lead exposure and/or help reduce the level. As always, we are here for you and are available to answer any questions that you may have. If you have any cause for concern please email us at advicenurse@potomacpediatrics.com.